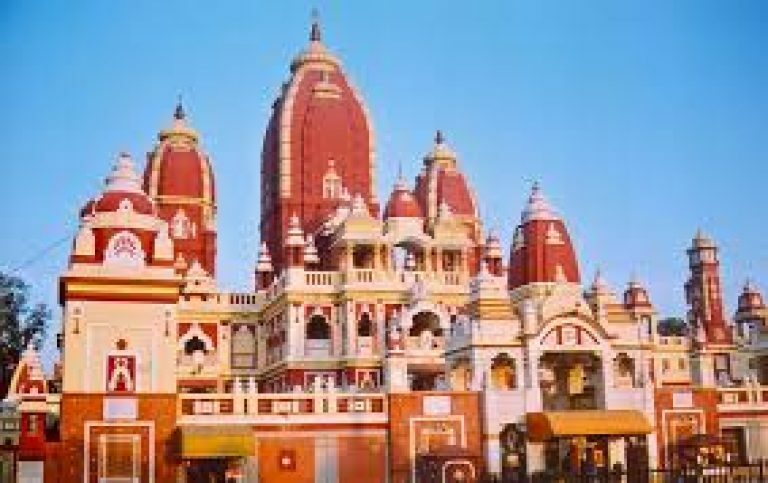 Laxmi Narayan Temple, also known as Birla Mandir, is one of Delhi’s major temples and a major tourist attraction. Built by the industrialst Sh. J.K. Birla in 1939, this beautiful temple is located in the west of Connaught Place. 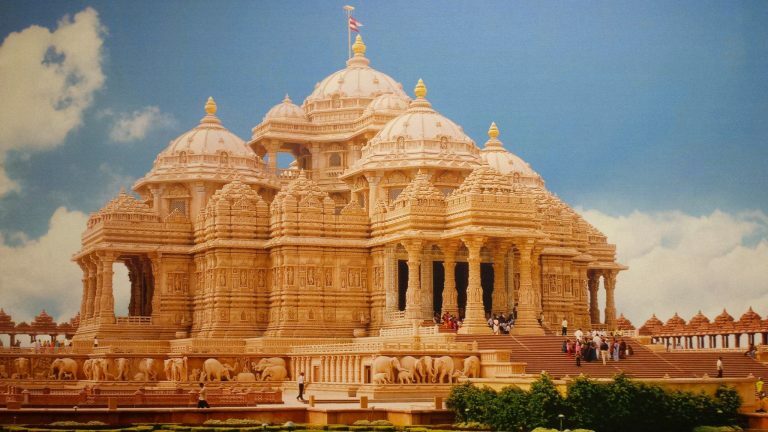 The temple is dedicated to Laxmi (the goddess of prosperity) and Narayana (The preserver). 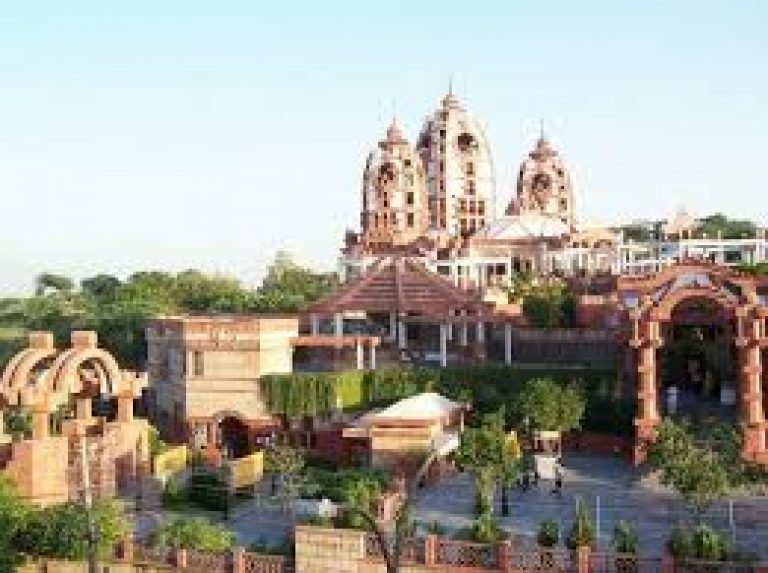 The temple was inaugurated by Mahatma Gandhi on the condition that people of all castes will be allowed to enter the temple. The Garden of Five Senses is not just a park, it is a space with a variety of activities, inviting public interaction and exploration. 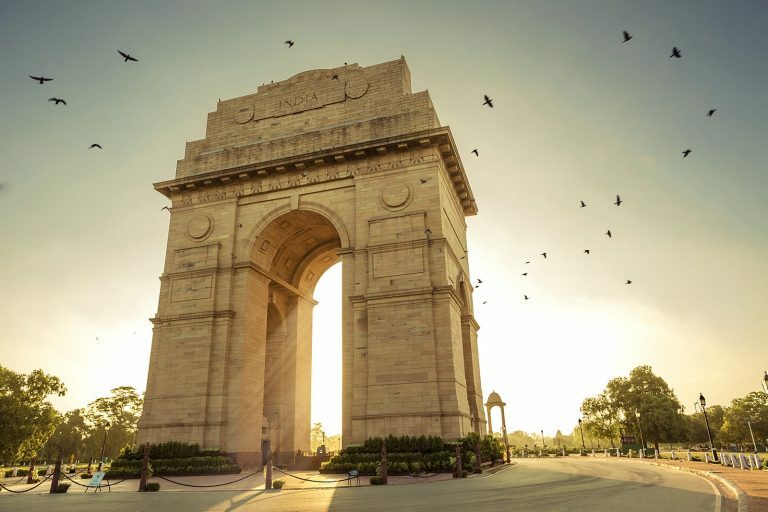 The project, developed by Delhi Tourism Transportation Development Corporation, was conceptualized to answer to the city’s need for leisure space for the public, for people to socialize and unwind. Such spaces add atmosphere and life to a city and cater to all sections of the society. The twenty-acre site, located at Said-Ul-Azaib village, close to the Mehrauli heritage area in New Delhi, is spectacular. The Garden was inaugurated in February 2003. Majestic rocks stand silhouetted against the sky, others lie strewn upon the ground in a casual yet alluring display of nature’s sculptural genius. It was the ideal ground on which to realize the concept of a public leisure space that would awaken a sensory response and thereby a sensitivity to the environment. Located near the crossing of Mathura road and Lodhi road, this magnificent garden tomb is the first substantial example of Mughal architecture in India. 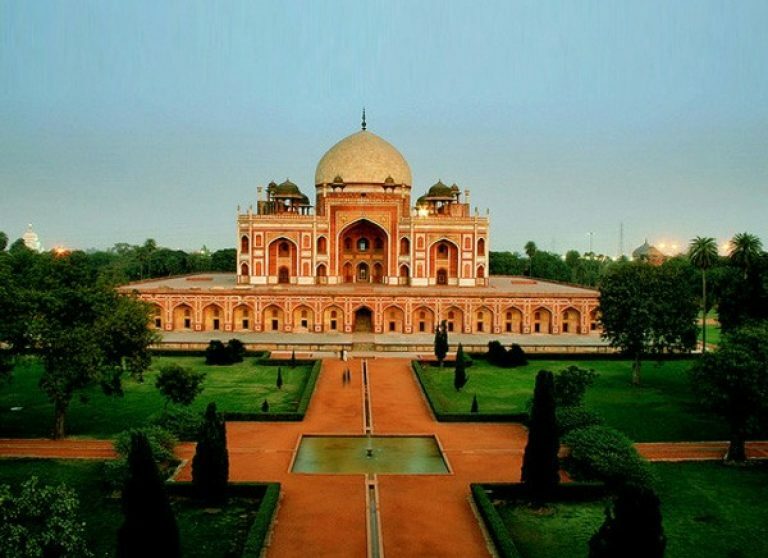 It was built in 1565 A.D. nine years after the death of Humayun, by his senior widow Bega Begam. Inside the walled enclosure the most notable features are the garden squares (chaharbagh) with pathways water channels, centrally located well proportional mausoleum topped by double dome. There are several graves of Mughal rulers located inside the walled enclosure and from here in 1857 A.D; Lieutenant Hudson had captured the last Mughal emperor Bahadur Shah II. Iskcon, East of Kailash has developed Vedic Expo , Asias only technology center promoting Vedic Sciences and culturewherein a very high technology usage of Audio ,visual presentation of Bhagvat Gita is depicted with lights and sound used for creating historical effect and a very interesting tourist attraction as we are the only one in Delhi showcasing this. We have another show on Mahabharata and also a complete robotics show . The whole ambience of the temple is very attractive with ongoing devotional chants, fountains and gift shops. We have a Govinda’s restaurant serving high quality vegetarian food and has become land mark for foodies in Delhi. The old Lady Willington Park, now known as Lodhi Garden, is dotted with monuments of Sayyid and Lodhi Periods, which include tombs mosques, and bridges. 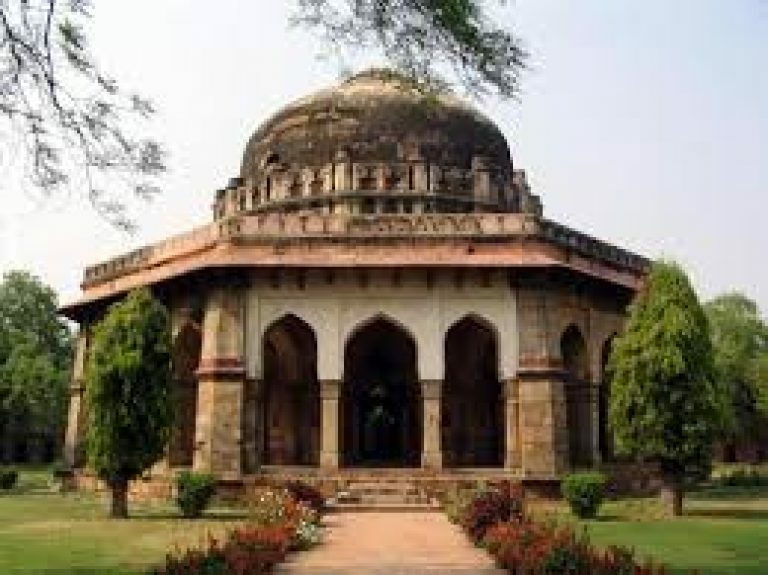 The tombs of Muhammad Shah and Sikandar Lodhi are the good examples of octagonal tombs. Shish and Bara Gumbad are square tombs with imposing dome, turrets on corners and facades giving false impression of being double storeyed. 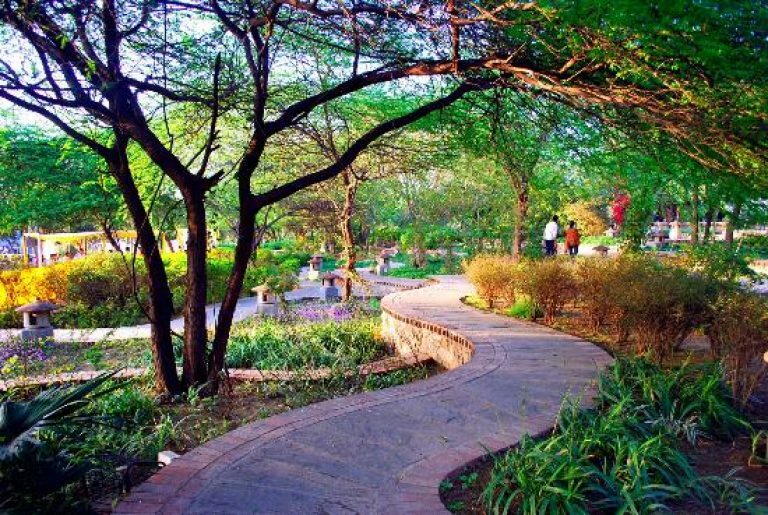 It is a favourite point for early morning walkers from the posh south Delhi colonies. 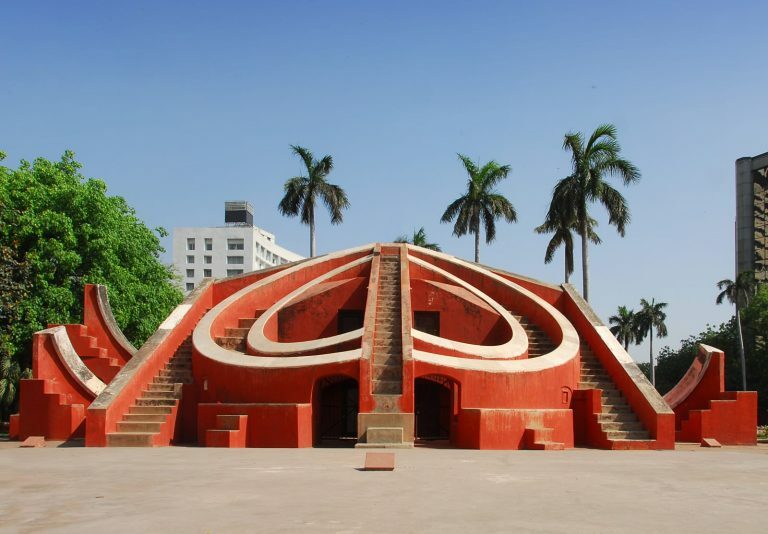 East of Nehru place, this temple is built in the shape of a lotus flower and is the last of seven Major Bahai’s temples built around the world. Completed in1986 it is set among the lush green landscaped gardens. 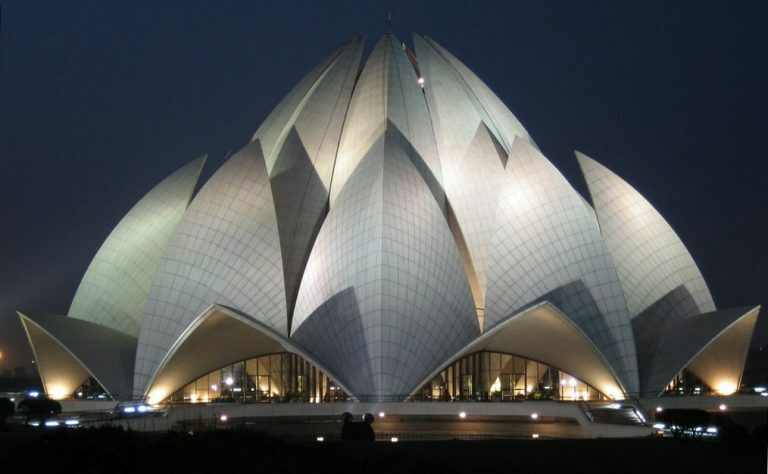 The structure is made up of pure white marble The architect Furiburz Sabha chose the lotus as the symbol common to Hinduism, Buddhism, Jainism and Islam. Adherents of any faith are free to visit the temple and pray or meditate. Rashtrapati Bhavan, home to the President of the world’s largest democracy, is emblematic of Indian democracy and its secular, plural and inclusive traditions. It was designed by Sir Edwin Lutyens and Herbert Baker and stands on a 330 acre estate. It took seventeen years to build this presidential palace which was completed in the year 1929. Almost seven hundred million bricks and three million cubic feet of stone were used in building this architectural marvel that has 2.5 kilometers of corridors and 190 acres of garden area. The main building covers an area of 5 acres and has 340 rooms spread over four floors. The famous Mughal Gardens of the Rashtrapati Bhavan cover an area of 15 acres and have 159 celebrated varieties of roses, 60 varieties of bougainvillea and many other verities of flowers. The Estate also has a state-of-the-art Rashtrapati Bhavan Museum Complex (RBMC) comprising the Clock Tower, the Stables and the Garages showcasing past as well as current presidencies, the regal ceremonies, and the rich flora and fauna of Rashtrapati Bhavan, amongst other things. The RBMC was inaugurated by President Pranab Mukherjee on 25th July, 2016. For the convenience of the general public, Delhi Tourism has extended the facility of Ho-Ho Buses to the Rashtrapati Bhavan.